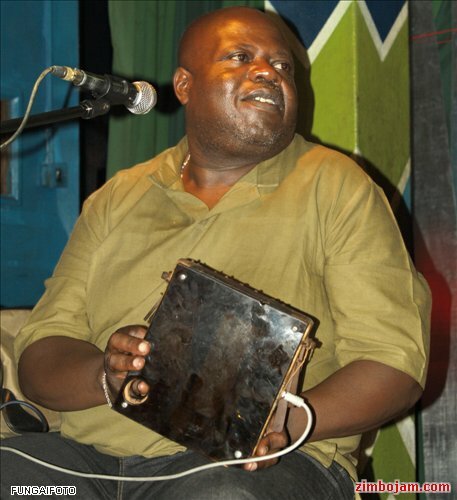 Harare, Zimbabwe – Adam Chisvo, one of Zimbabwe’s leading mbira players, has died. He was aged 48. He leaves behind a wife and three sons. In a telephone interview, Chisvo’s widow, Priscilla, revealed that the popular mbira musician died at Harare Hospital Wednesday morning due to high levels of sugar diabetes. Chisvo, who produced an eleven track album, titled “Famba Pore Pore” in 2009, backed about any musician that counts in Zimbabwe’s fledgling music industry. He played with Oliver Mtukudzi, Victor Kunonga, Chiwoniso, Taku Mafika, Willom Tight, Charles Summerfield, Busi Ncube and many others simply too many to mention. “He was a real tower in the local music industry. We’ve lost a giant. That’s what I can say. Adam worked with a lot of people. We’ve lost so much. He did a lot both locally and outside our borders. He was a great person; he was always willing to impart his knowledge, experience and skills to the upcoming generation. He will surely be missed,” said Afro jazz maestro, Victor Kunonga, who has been working with Chisvo for the past five years. According ZimboJam.com, from his early experiences with Ilanga, through to his long term association with Andy Brown and the Storm, and leading into his succesful partnership with Chiwoniso Maraire, Chisvo provided the essential backbone to legendary musical groups. Chisvo’s exploits in the local music industry, particularly his refining of how the mbira instrument is played, certainly qualify him as a hero and an icon of of our times. “This is really shocking news to me. Chisvo was a good friend and uncle but most importantly a mentor to many of us young artists in the music industry. He was always willing to share knowledge and even learn despite that you are younger than him. We have really lost another fountain of knowledge,” said Taku Mafika, a talented mbira player. Chisvo is credited with taking mbira to a new level, experimenting with the instrument and giving it a new lease of life outside its traditional and spiritual strictures. Apart from his music, Chisvo will be remembered for his easy-going nature and affability – he was never short of a smile. “He was a very soft-hearted man. He carried himself with so much humility, he was a great artist who never liked outshining his juniors even if he could, it’s a huge loss to the fratenity,” said Novell Zwangendaba, a local arts journalist. sad to have lost adam chisvo.talented brother,the music industry will miss the gentle giant. Rest in peace Mbira maestro!! I hope you will keep on playing up there in heaven. Rest in perfect peace! Too sad to hear. I am sorry to the Chisvo family.